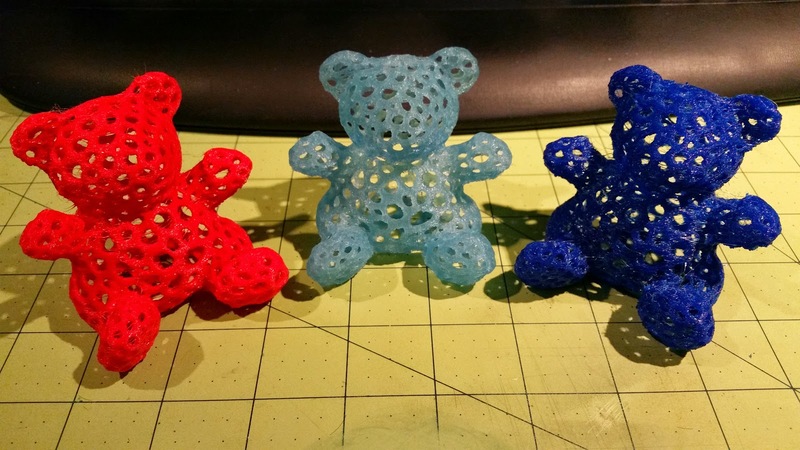 So with the holidays arriving soon, I again wanted to make some gifts this year for various relatives and friends who I'll be spending the holidays with. 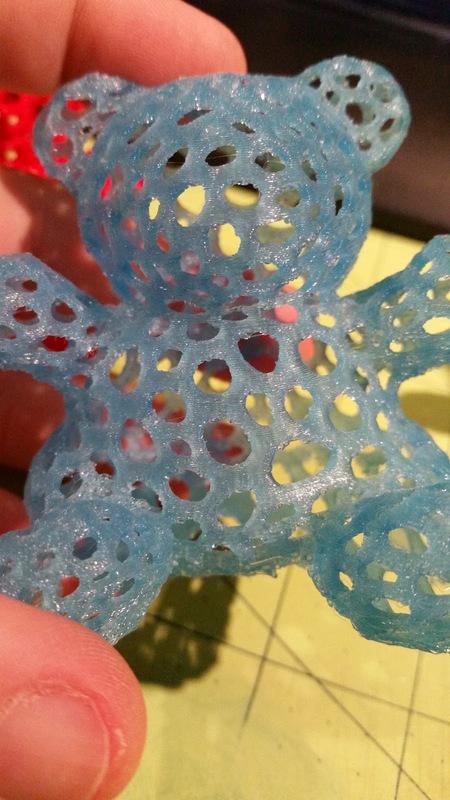 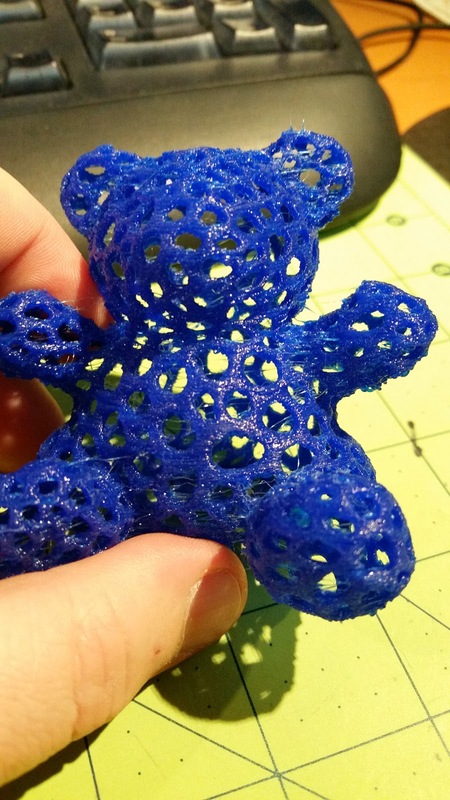 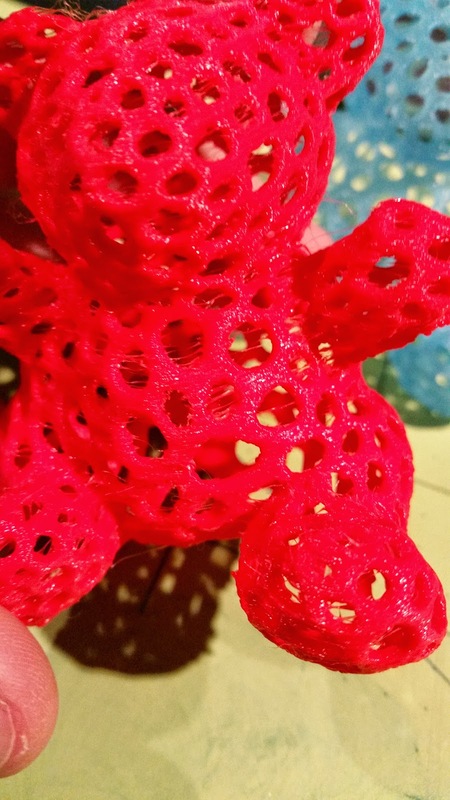 While searching thingiverse i found this pretty cool Bear model in the Voronoi style. 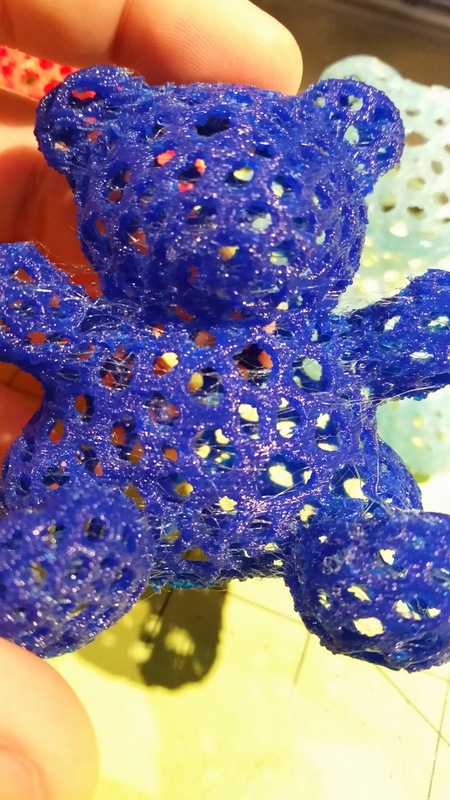 So after printing it in a transparently blue PLA filament from polymakr, I decided to try out some of the flexible filaments I've had on hand for awhile but have done nothing more than print a sample chip out . 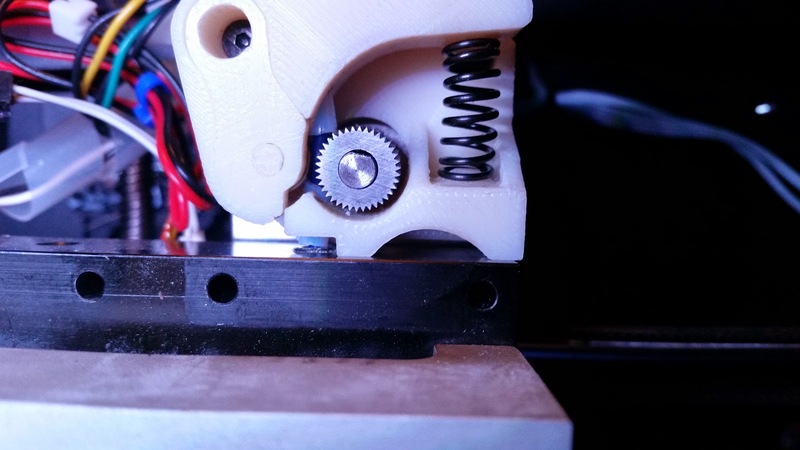 I tried printing out with this type of filament before, and failed, mostly because either the extruder that I was using caused the filament to buckle and just wrap itself around the stepper motor, or after extruding a bit for the first few layers would just stop extruding as the gripper gear would just lose its grip and not push the filament along ending up in "air prints". 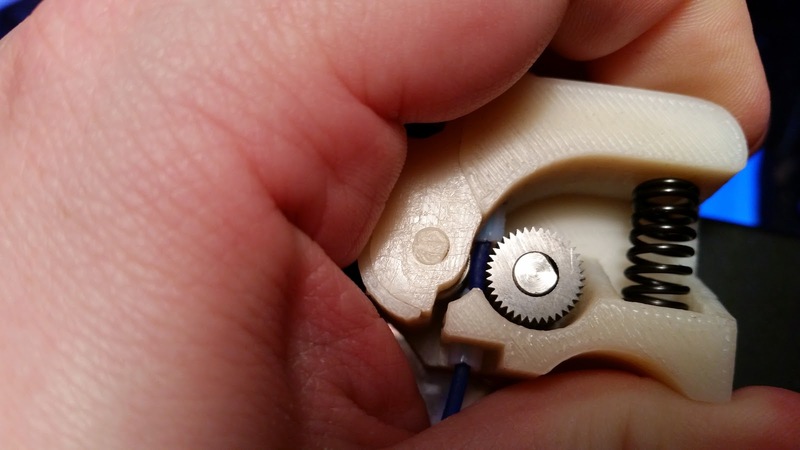 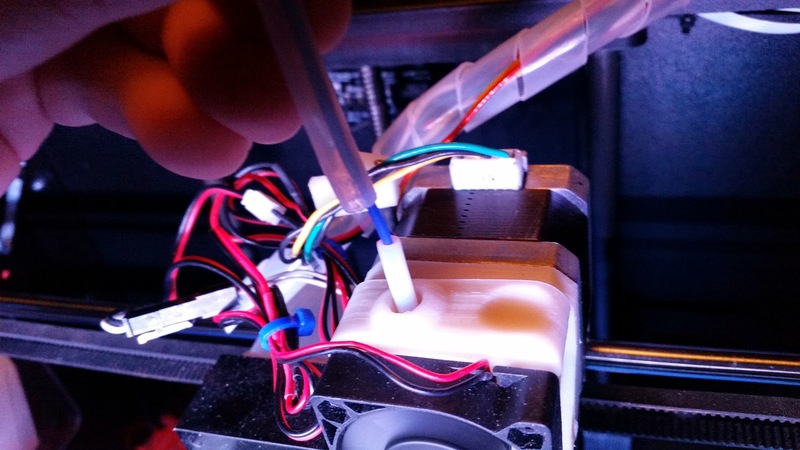 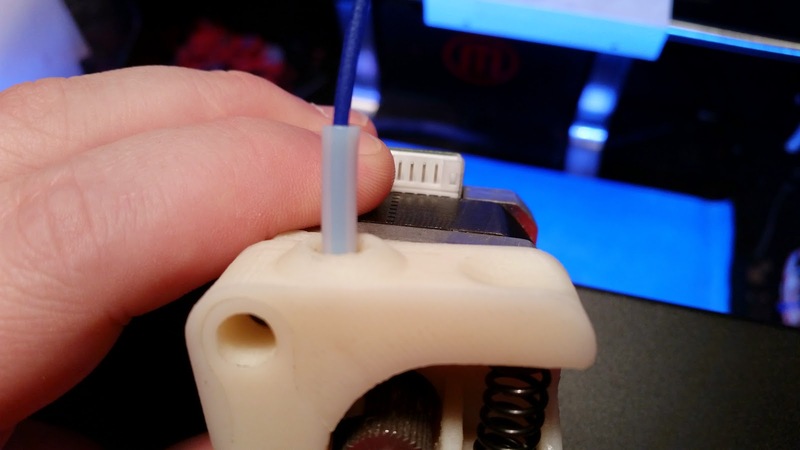 So one of the things I saw that people were doing to solve the buckling issue, where the filament because its so springy and bends in the wrong place and gets wrapped around the stepper motor gear, is by using a bit of PTFE tubing and sticking it through their extruder arm all the way to the hot end entrance. 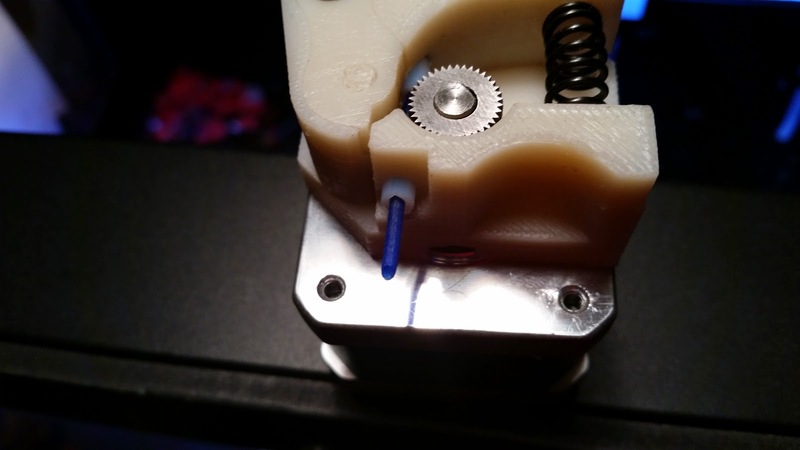 In some instances for example when using a e3dv6 hotend they take the tube right to the hot zone inside the hot end itself!. 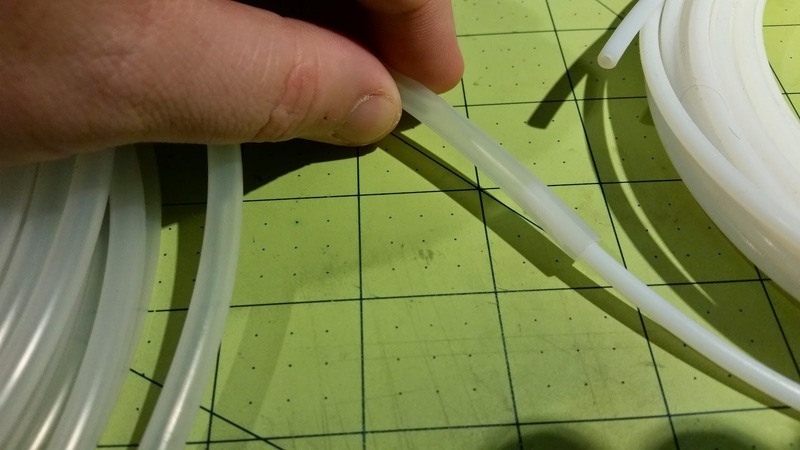 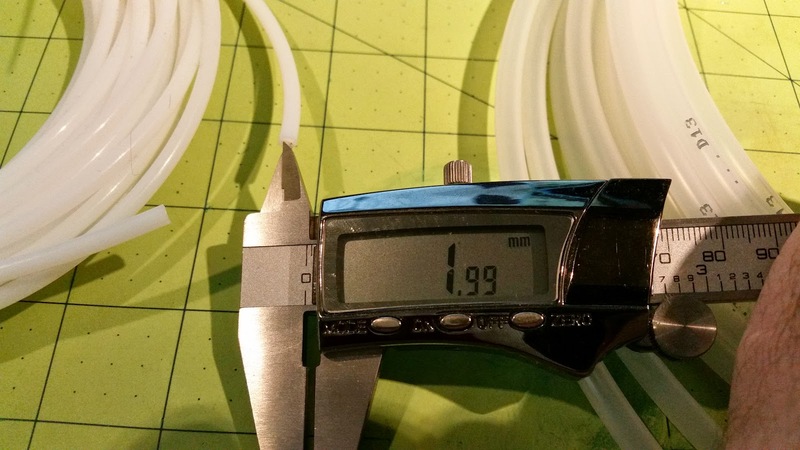 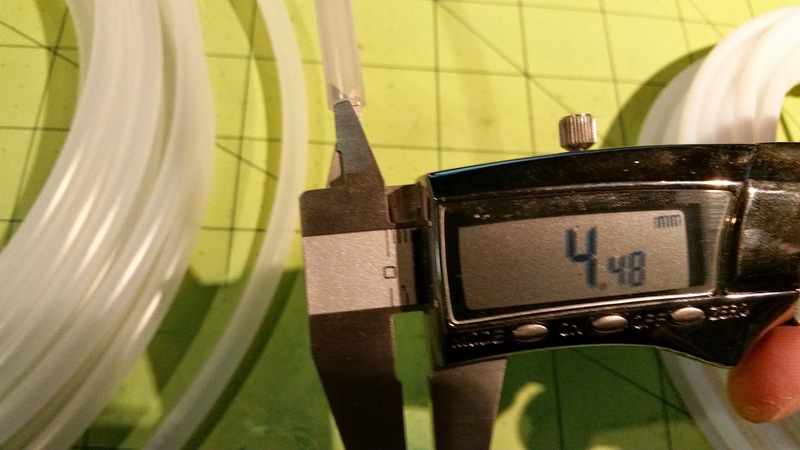 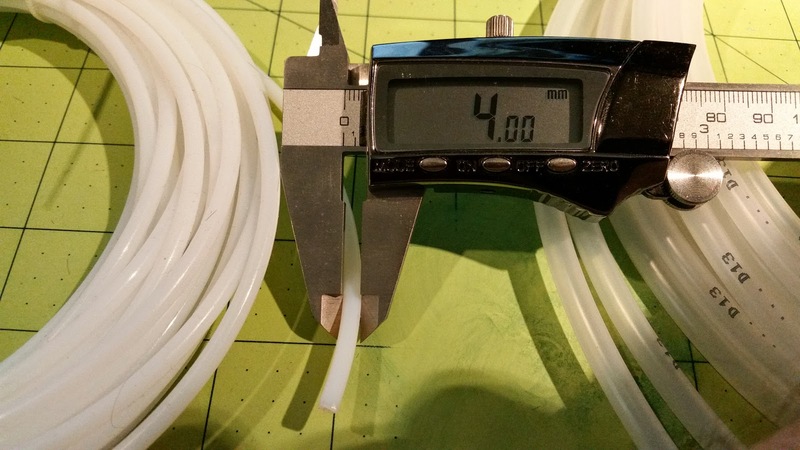 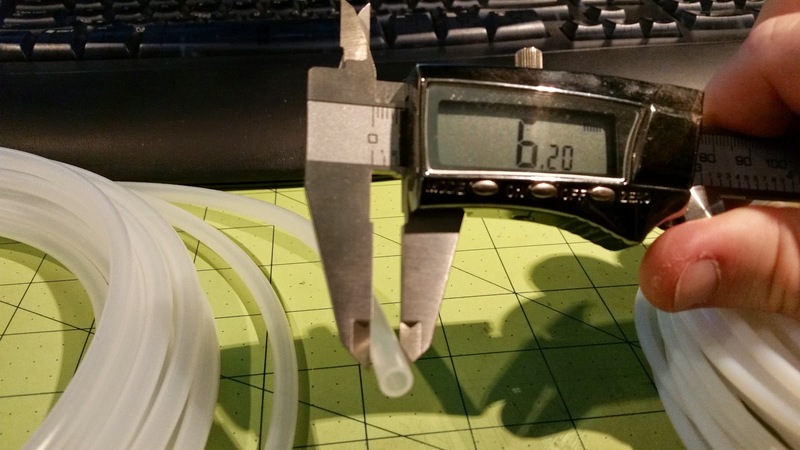 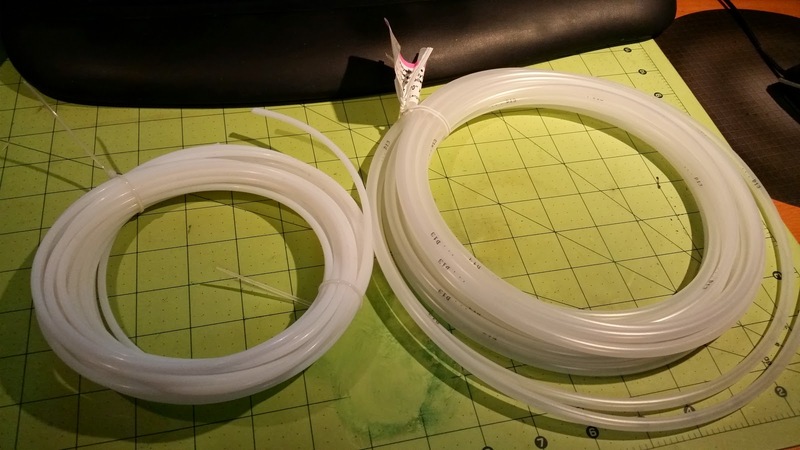 The tube I'm using are both PTFE tubes (they can withstand moderate heat), and I have a larger diameter that I'm using for a "guide tube" from the spool to the 3d printer, and now i'm using a smaller diameter that goes to the hot end entrance, and subsequently fits within the guide tube.